Today the Bulldogs suffered another embarrassing defeat, this time at the hands of the Kentucky Wildcats. It’s not that they lost 68-45, but more how they lost. The Bulldogs lost in front of a 75% full Stegeman Coliseum, and more than 25% of those fans were wearing blue. And for the 2nd straight game and 3rd time this year, the Bulldogs failed to score at least 50 points. Dennis Felton is in his 6th season as head coach of the Georgia Bulldogs. In his six seasons, the Hoop Dawgs are 84-88 overall and a lousy 26-57 in the SEC. That’s an abysmal 31% winning percentage in conference play. If my math is still correct based on a previous article I posted, Dennis Felton’s overall record on the road is a dismal 23-59. In SEC regular season play, Felton is 6-36 away from The Steg. The 2008 SEC Tournament Championship was obviously a one-time deal. 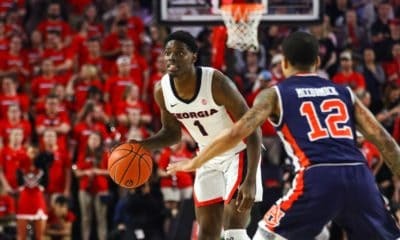 It was a moment in Georgia Bulldogs basketball history that won’t be forgotten, but it will also be remembered as an anomaly in Dennis Felton’s tenure. That weekend is the closest the Bulldogs have come under Felton to sniffing any sort of legitimate championship. He has guided the Bulldogs to only one NCAA Tournament appearance (0-1; 1st round exit) and two NIT appearances (1-2; one 1st round exit). I was on board with the Dennis Felton hire back in 2003 and supported him through the tough times. And those times were VERY tough. But that period in UGA basketball is over. The ghosts of Jim Harrick are gone. We are not on probation any more and we have our full allotment of scholarships. And we still can’t sign the best players in Georgia. Super recruit Derrick Favors recently chose Georgia Tech over Georgia, and that may have helped seal Felton’s fate. The question then is not if, but when is Dennis Felton fired? Should he be fired Monday morning? What about on Friday? That’s what Bob Slidell and Bob Porter would recommend. Seriously though, I’m not sure we should let him finish the season. 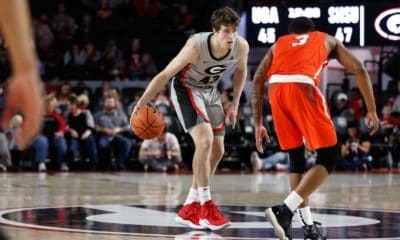 Georgia basketball has been nothing more than mediocre during Felton’s tenure, but we are in danger of once again becoming the laughingstock of college basketball. How many more games can we look disinterested, lost on offense and score less than 50 points? This decision will rest on the shoulders of Damon Evans, who will undoubtedly have Michael Adams’ opinion. It’s time to take the Georgia basketball program to the next level. 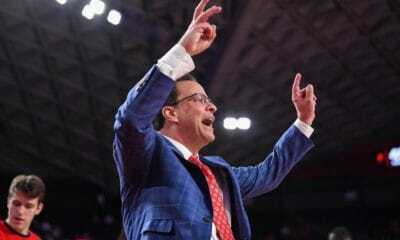 Make a firm decision, take action and then go out and hire the best basketball coach we can find. 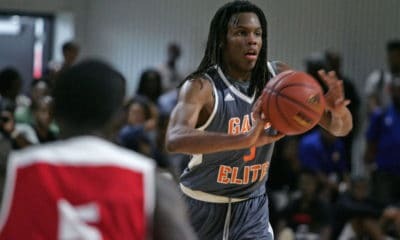 Georgia has the money, the facilities and a wealth of basketball talent in the state to be a major player in college basketball. So what are we waiting for?